Beginning January 1, 2014, millions of Californians will be eligible for new health insurance coverage. Many will need help understanding, accessing and using these benefits.. 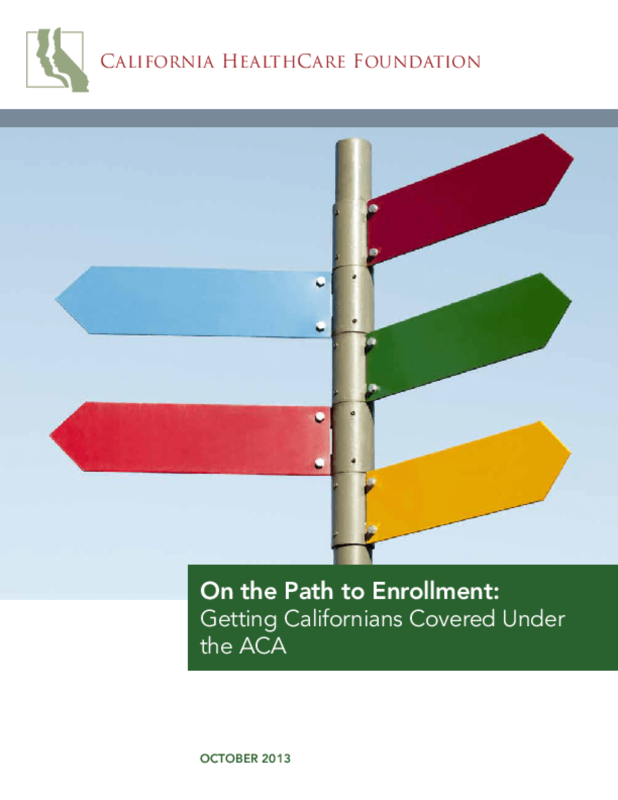 This report provides information about the outreach, enrollment, and assisstance programs outlined in the ACA, and about California's efforts to realize this continuum of consumer support. It focuses primarily on community-based structures funded or administered by state government and does not include the many private efforts in this area. Differences between Covered California and the Medi-Cal agency's outreach, enrollment, and consumer assistance efforts are highlighted where applicable. This information is current as of October 1, 2013. Updates will be made to this report at www.chcf.org.